There is a lot of fiction books about WWII and sometimes it seems like they tell the same story with different characters. 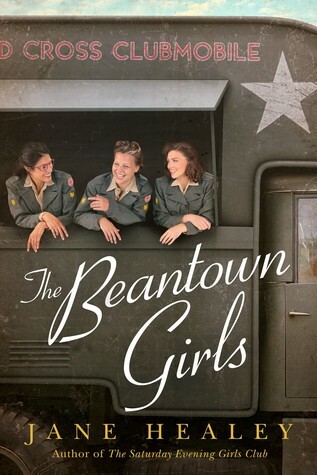 The Beantown Girls looked at the war from the perspective of women who were part of the Red Cross Clubmobile Girls. I have never read a book about this group of brave women who went to Europe during the war to help the morale of the soldiers by providing doughnuts, coffee, cigarettes, and mostly a pretty American girl to talk to. This is a story about bravery during wartime, friendship, and love. Fiona, Dotty, and Viviana were best friends in Boston. They decided to join the Red Cross group for different reasons but they joined together and were able to stay together. Fiona's fiance was missing in action and she wanted to try to find him, Viviana wanted more out of her life and Dotty went to be with her friends. They were chosen for their strength and their beauty but were soon faced with unexpected challenges from how to drive the truck to the process of making doughnuts. They encountered a lot of problems but were able to help so many soldiers and make so many new friends that they all felt they had made the right decision. As the three friends begin to understand the real reasons they all came to the front, their courage and friendship will see them through some of the best and worst times of their lives. This was a wonderful, well-written and well-researched books based on real women who joined the Red Cross and went to Europe during WWII. The book made me laugh and it made me cry and had three main characters who I won't soon forget. It's difficult to believe that this was Christina McDonald's debut adult novel. This book was so well written that it got my attention on page 1 and kept me turning pages until the end. The characters were so well written that I felt like I knew them in real life. Warning -- have a tissue close to you because you're going to need it. Abi is a single mother and she and her daughter Olivia have always been very close. Olivia was a popular and very smart student who was planning to go to college. Imagine getting that phone call in the middle of the night from the hospital telling you that your daughter had been badly injured - the daughter that you were sure was asleep down the hall. It only gets worse when Abi talks to the doctors -not only is Olivia brain dead but she is pregnant and the hospital has to keep Olivia on life support until the baby is delivered. 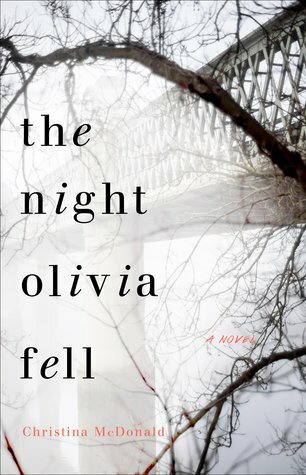 When Abi sees the bruises on Olivia's wrists she begins to question the police who believe that this was an accident and not a homicide. As Abi starts questioning her daughter's death, she not only learns more about her daughter and their relationship, she also begins to discover who she is not only as a mother but also as a woman. Was Olivia pushed? Was it an accident? Did she commit suicide? This wonderfully well-written novel will have you asking those questions to the end as you become part of this family mystery. FANTASTIC!! For someone like me with little understanding of the disease of anorexia, this book was a real eye-opener. My attitude had been that these were spoiled little girls who wanted attention. After reading this book, I learned that this is a disease, not a choice and that recovery is very difficult and for some, impossible. Anna is a ballerina from Paris who has moved to St. Louis with her husband Matthias for his job. She misses dancing, Paris and her family. As her husband works long hours and she is left on her own with no friends in a strange country, her anorexia begins to manifest itself. 'The chocolate went first, then the cheese, the fries, the ice cream. The bread was more difficult, but if she could just lose a little more weight, perhaps she would make the soloists’ list. Perhaps if she were lighter, danced better, tried harder, she would be good enough. Perhaps if she just ran for one more mile, lost just one more pound.' When Anna is down to 88 pounds and her body is beginning to break down, she agrees to go to a residential center for eating disorders. This book is about the struggle to get better when she wants to cling to her anorexic life and was about not only the physical part of the disease but also the mental part. It was difficult to read at times but the story itself was told quietly and beautifully. My main problem with the book is that they kept repeating that Anna was going to get better for her husband. In reality, the only person you can get better for is yourself and I don't think that was stressed enough in the book. Fixie is the youngest sibling, and often feels overpowered by them. Jake dreams of being a mover and shaker, and Nicole is flighty and centered on the actuation of the self. Fixie feels a strong tie to her family and her crush Ryan, who is back in England after trying to make it in Hollywood as a producer. She tries to jump in and help everyone else, not thinking about what it would do for her. 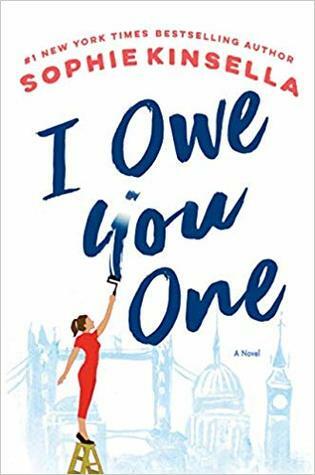 This even leads her to agree to watch over a stranger's laptop at a cafe and dive over it to protect it from a leaky ceiling; Sebastian is grateful and wants to give her an IOU, which she ultimately cashes in for someone else. I feel so bad for Fixie as the book progresses through its first half. Her siblings continually leave her in the lurch, from putting down her viewpoint to her sister literally leaving in the middle of curling her hair and complaining that she needs to take care of herself instead of others. Even her crush Ryan leans on her for emotional and physical support, and at one point literally only seems aroused when Fixie tells him how handsome and important he is. She can't really take a stand, not when family is important to her, which I completely sympathize with. But she leaps to their defense when everyone else around her realizes that they take advantage of her. From chapter one, Fixie says her need to fix others is her flaw, and it really is. Her need to please others and make them happy does give her some pleasure in life, but it also stresses her out because her own needs are unmet. Fixie's inner monologue is hilarious and relatable, much like Sophie Kinsella's other heroines. It's understandable that she has a hard time standing up to her older siblings, or realizing that her crush is a selfish flake that is using her. She and Sebastian get along fairly well, though they can still wound each other deeply with words, too. Fixie taking steps to assert herself more felt somewhat sudden, but a realistic kind of sudden. She had been pushed so far that "scorched earth" measures had to be taken. She's actually very good at what she does but needed a push. Everything falls into place for all of the characters because this is very much a feel good book. It closes at Christmastime, but it's not strictly a Christmas themed book. Still, it has the homey warmth you expect from the season and is as fun to read as Kinsella's other novels. In the four years since Athelrick's five daughters worked together to restore his health, the bonds of sisterhood had all but dissolved. Bluebell remains at home, his heir and essentially the leader of his army. Ash had traveled to learn the ways of an undermagician. Rose was exiled from her daughter Rowan to keep the peace between kingdoms. Ivy is a Duchess with two sons and more secrets. Willow is still a zealot of the trimartyr faith, determined to see signs in everything around her. The fact that they are sisters still remain, and will further shape the world around them. This is a sequel to Daughters of the Storm (read my review) and is definitely enhanced by having read that one first. There are still contextual clues and conversations to highlight the most important parts of the first novel that apply to this one, so readers should be able to pick this one up and hit the ground running. 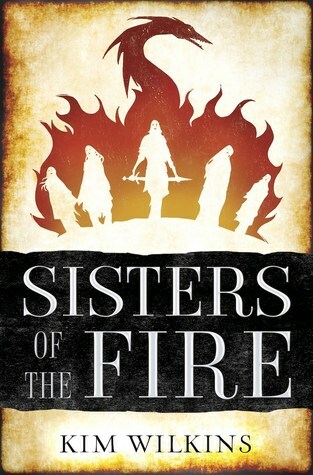 The cover art between the two novels are similar, in that they both have the sisters' silhouettes in the shape of a crown. 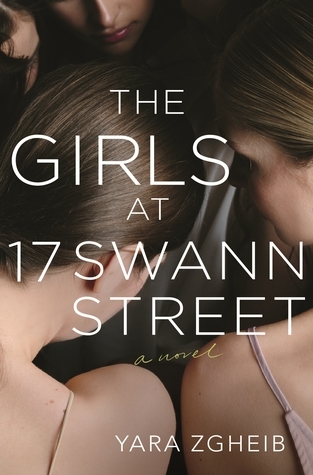 In the first novel, the girls all have their hands linked, and now in the second, they all stand alone in the shadow of the dragon fires that Ash had always been so afraid of. It's a brilliant way to visually mark the differences in the relationships between the sisters in the novels. Bluebell is as martial and pragmatic as ever, still running roughshod over Rose's concerns. She did learn some patience, and the force of her love remains a palpable thing. We see Rowan now as a child capable of expressing herself, and the secret leading to Rose's exile now comes to bear on Rowan. 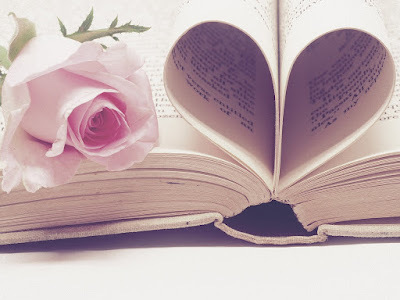 She is a more central figure in this book, moving the plot for Bluebell and Rose, and positions Bluebell close enough to maneuver Ash closer to her destiny. Ash is largely a shadow in this novel, fear ruling her as much as her elemental magic. Willow is the other axis on which this novel spins, and she proselytizes and works to become a fighter to take down Bluebell. Ivy continues to have the weakest story arc of the sisters, though she has indeed grown up a lot since the first book. The world of these novels is already well established from the first novel, but there are still features in this one that builds upon it in interesting ways. I never would have thought of a ghost horse or child being able to not only follow people outside of their place of haunting but to be able to interact with those close to death and magic. Prophecies always seem to come true, but never quite in the way that people fear that they will. It's fascinating to see the lengths that the characters will all go in the name of love, duty, and devotion, and how much the balance between religion, politics, family and marriage all balance for them. This book is put together just as well as the first, though Ash isn't the sister I connected with the most anymore. I was drawn more to Rowan and Bluebell's portion of the story. The story in this novel is complete, but there are definitely hooks to hang a third novel on, and I'm looking forward to reading it. I am reading the Kinsella book this week. I am overjoyed to hear it is a typical Kinsella book, because I love her books. They always make me smile. Great reviews!